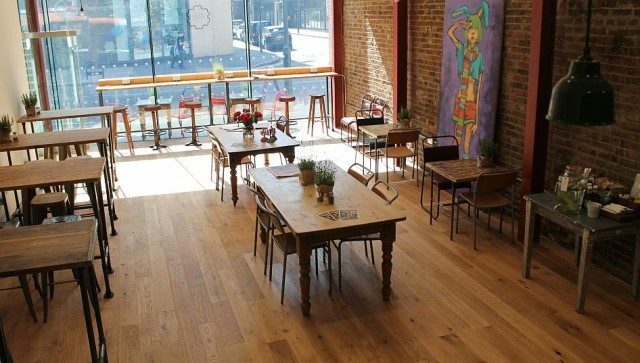 Central Street Café is a warm and friendly café just off Old Street, the epicentre of London’s creative tech industry. Serving tasty, healthy food and expertly-roasted coffee, it is open all day for breakfast and lunch, brunch on the weekends, and offers takeaway for everything in between. With free WiFi and plenty of space to recharge your batteries, Central Street Café is a welcome addition to the area. During the warmer months, the sunny roof terrace offers a relaxing escape with friends and family to enjoy drinks and sharing platters as the city bustles below. You can also hire the Cafe or roof terrace for events. Central Street Café comes under a community-focused charity, St Luke’s Trust (reg. 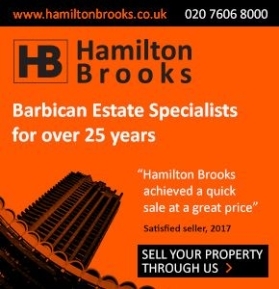 Charity 207497) and is located in St. Luke’s Community Centre on Central Street in south Islington between Old Street and City Road. St Luke’s Trust strives to improve the conditions of life for the people that live in and around the area by offering a safe and welcoming space in the community and Central Street Cafe is another facet to this. All profits from Central Street Café go towards covering costs for over 11,500 (2015 figure) delicious, healthy and high-quality meals that feed hundreds of elderly Islingtonians each year. With an annual target of over £78k profit, every pound you spend with us goes towards this essential work in the local community. In addition, it aims to serve food that is ethically-sourced, organic and fair-trade whenever possible – and all staff are paid London Living Wage or more. As the seasons change from summer to autumn Central Street Cafe is changing the weekday and weekend menus. 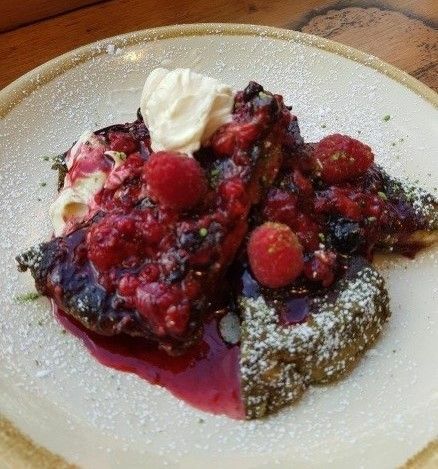 Matcha French Toast with mixed berry compote, fresh raspberries and matcha vanilla mascarpone, and much more!